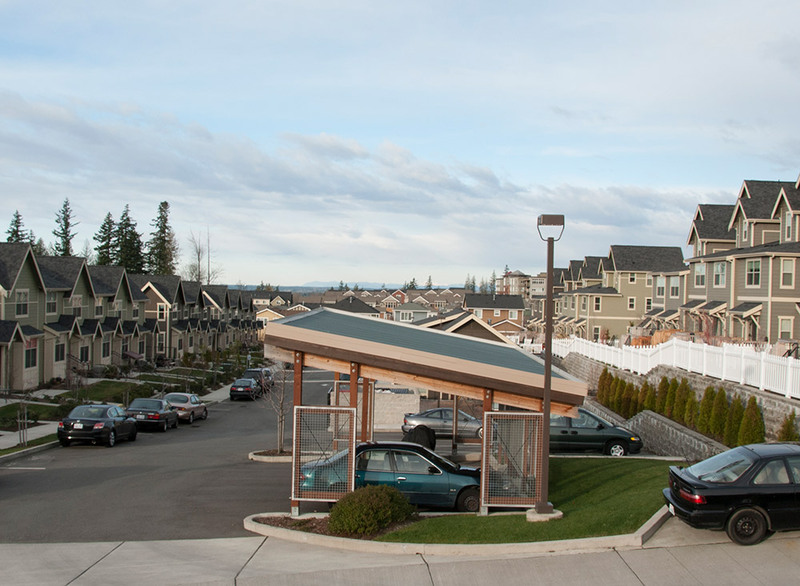 Issaquah Highlands is a 2,194 acre planned community of impeccably landscaped and manicured yards fronting narrow streets perched high above Issaquah. 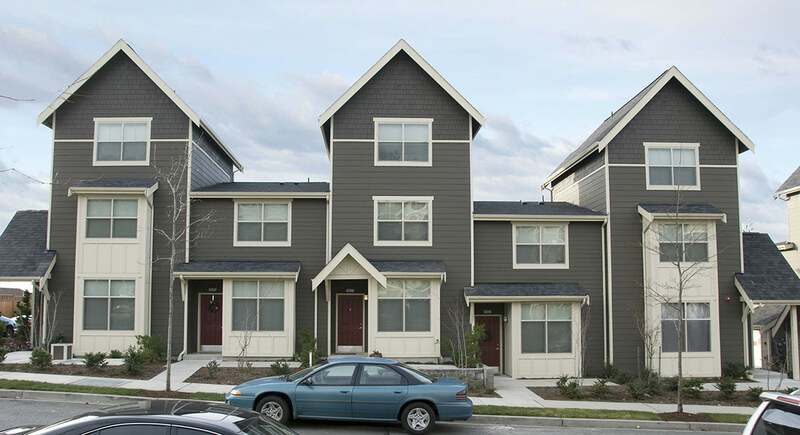 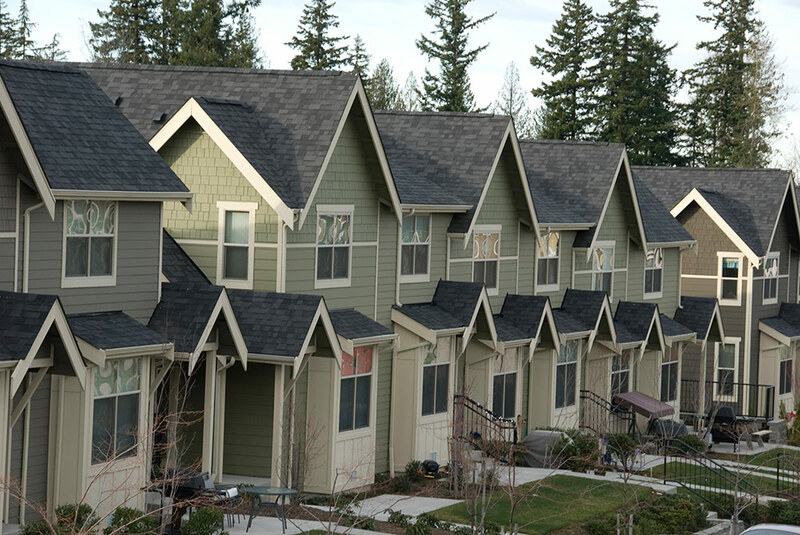 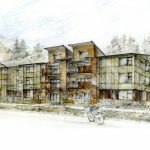 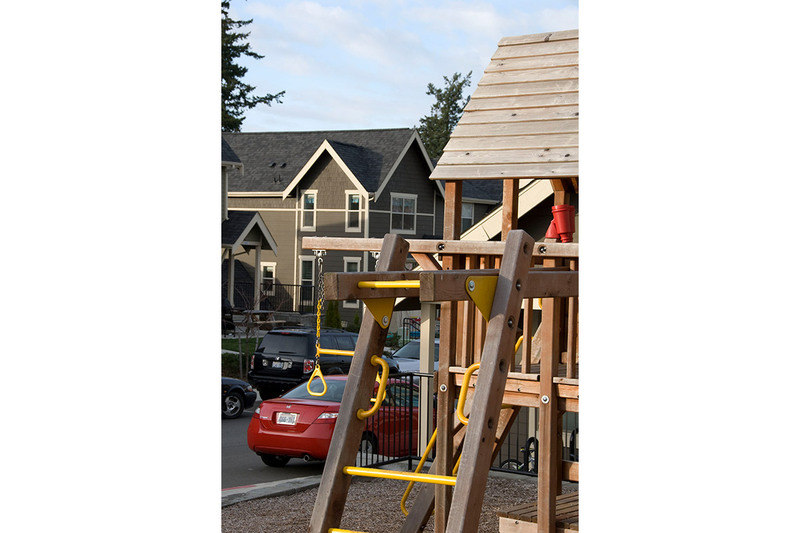 Lauren Heights provided the first affordable housing within the Issaquah Highlands community. 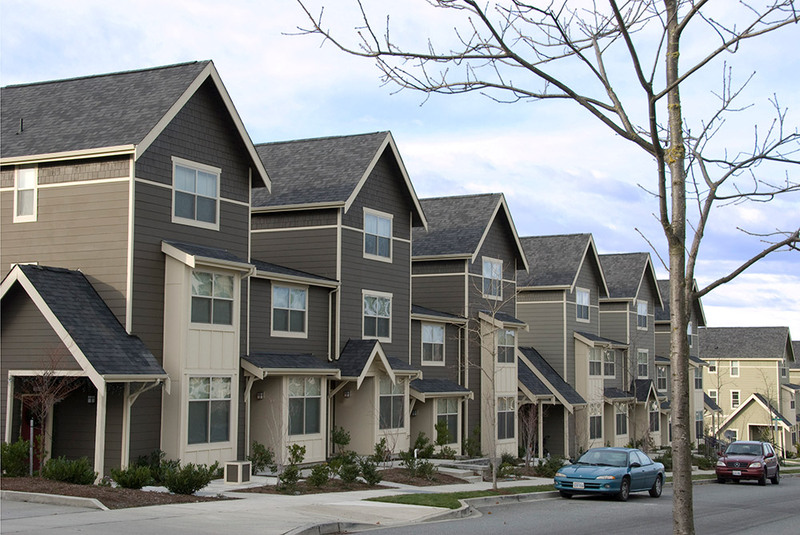 Looking just as sharp as the adjacent high-end market rate homes, the 51 townhouses and flats of affordable housing rented up in less than two weeks. 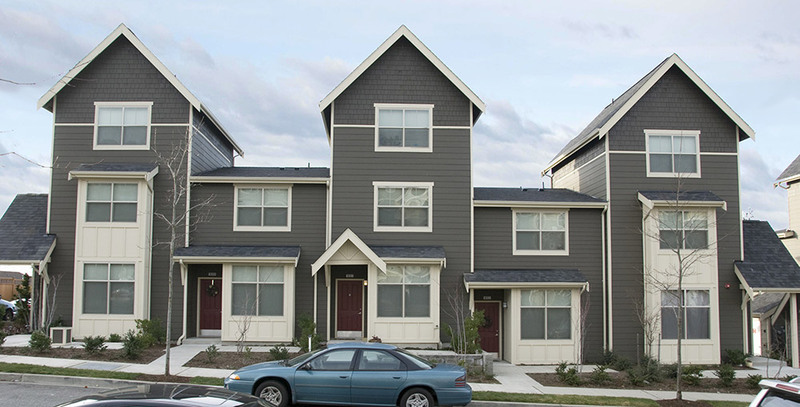 Lauren Heights is a mixture of family-oriented homes ranging from three story/three bedroom, to two story/two bedroom homes located above fully-accessible one story/one bedroom homes. 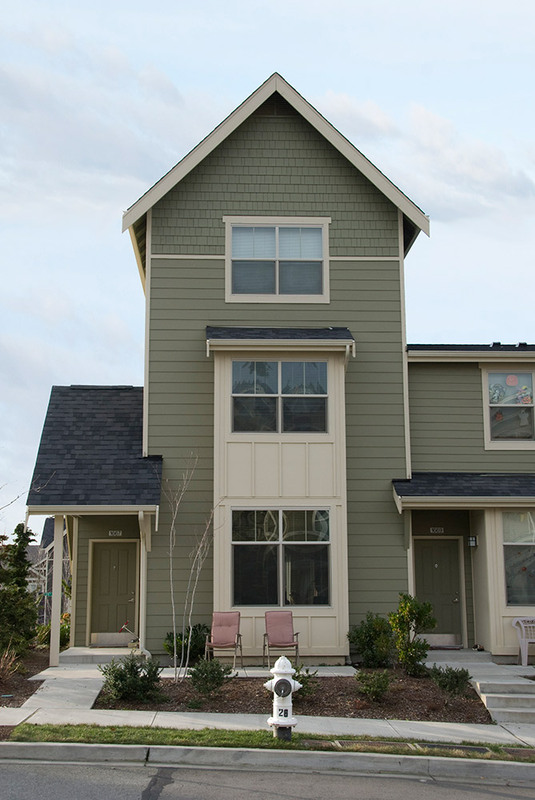 The one story homes are designed to accommodate individuals with mobility impairments. 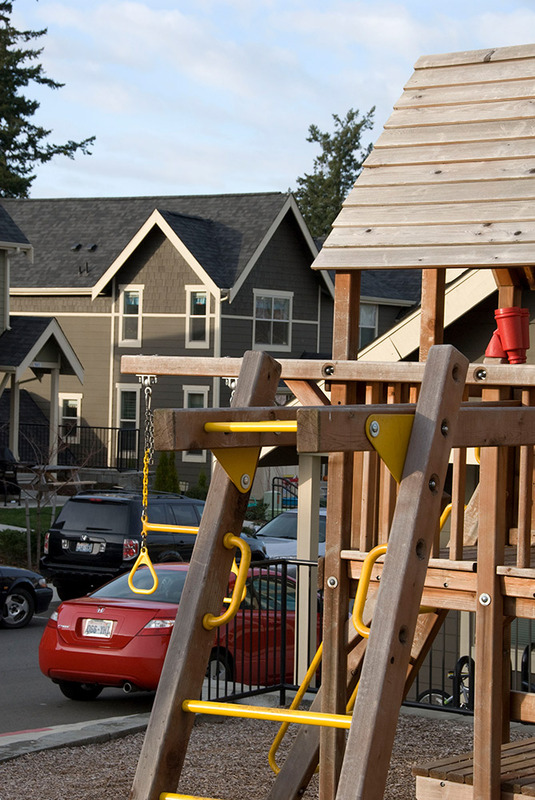 The 2.5 acre development also includes a community center and transitional housing units. 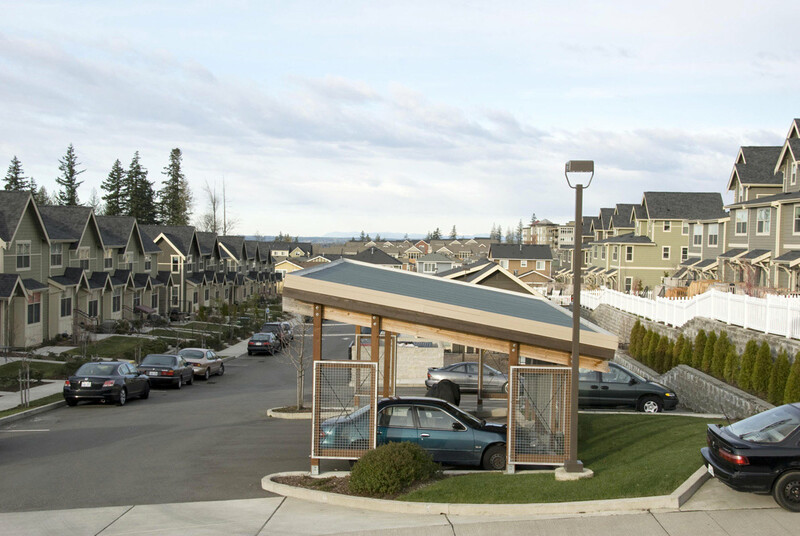 To maintain affordability, carports where substituted for garages. 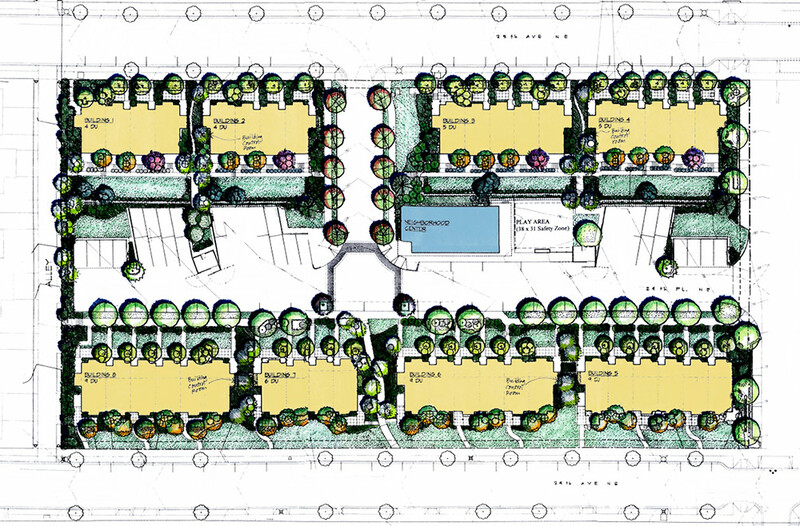 Bumgardner took advantage of this opportunity and designed them as eye-catching roof gardens that help reduce storm water run-off.